I have made two separate videowave productions and was wondering if there is some way that I can combine the two to make just the one production? 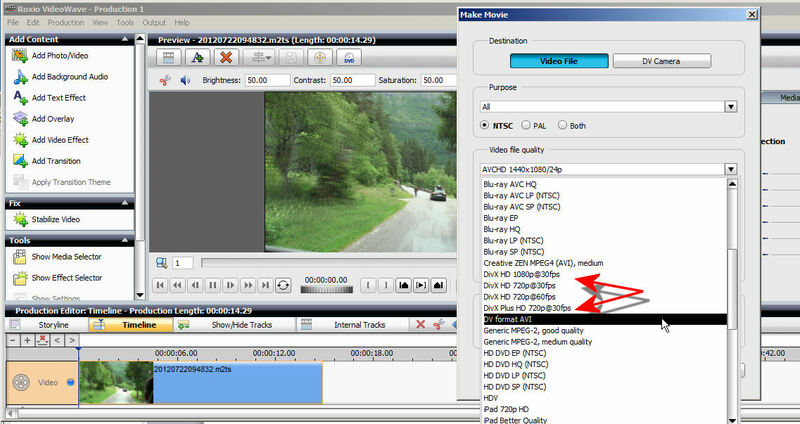 You could output one production to your preferred video format, and then add that to the other VideoWave project. Or, you could add both productions into MyDVD to put them together, if that helps? I can't test this right now but I seem to recall that after you open one VideoWave Project (dmsm) you can use the Add Movie button and force another Project by manually typing the file name + the dmsm extension. If anyone can test that before I get home, appreciate it! I just added 2 dmsm project file in Videowave and it did work when played and output. The problem though is that the 2nd project appears as one video even though the project itself may consist of several secgments, etc. That means that the 2nd project can only be edited when in Videowave by itself. ie. the project has to be in its final state before adding it as a movie. Sorry for the delay in responding, but I've been away. I'm new to all this and there are some things I'm not sure how to do! 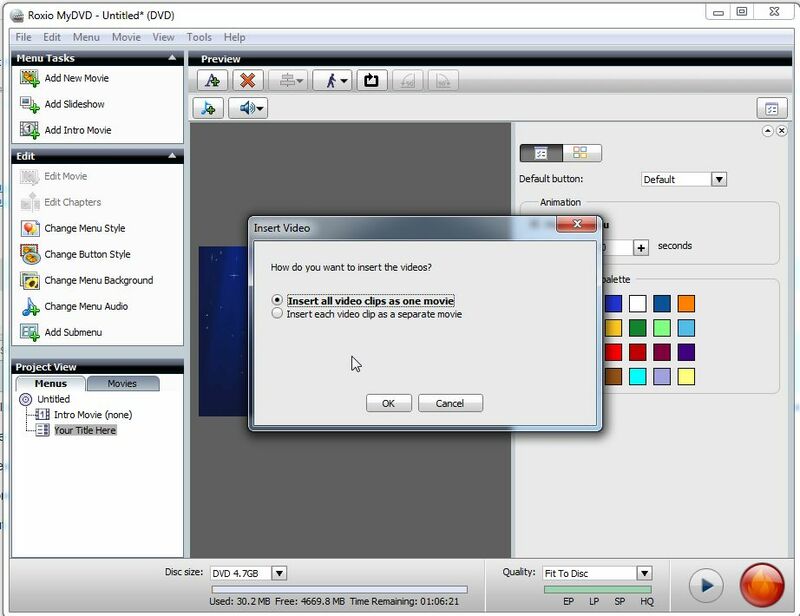 Please could you explain how I save the production as a video format and which preferred one should I choose? Adding the two video clips as one movie in My DVD sounds like the best way to do this. 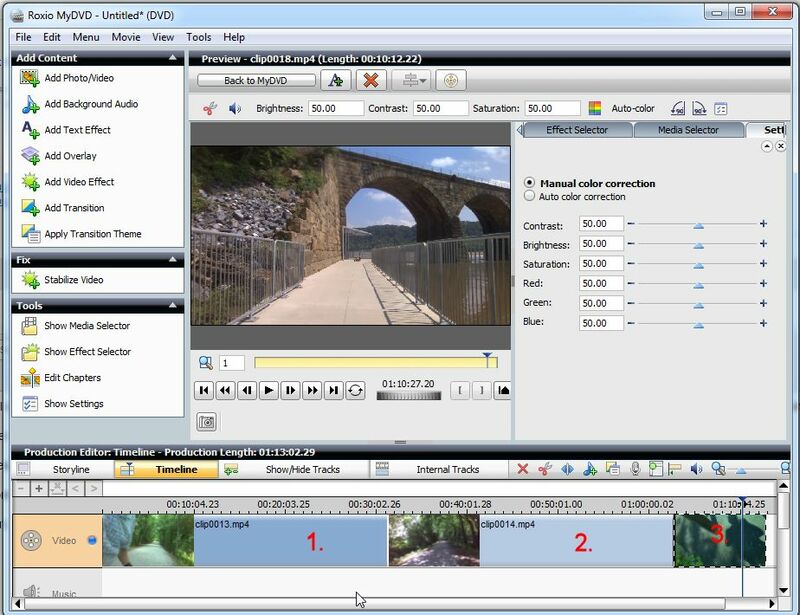 In VideoWave, use Export As, either under the Output menu or the button with the movie reel icon. Choose your output as close to your final project as you can but not better or at the quality of the existing clip. IE: a DVD Movie would be at 720 X 480 @ 8 mbps. Thanks for your help. I seem to have cracked it and now have both productions in one.